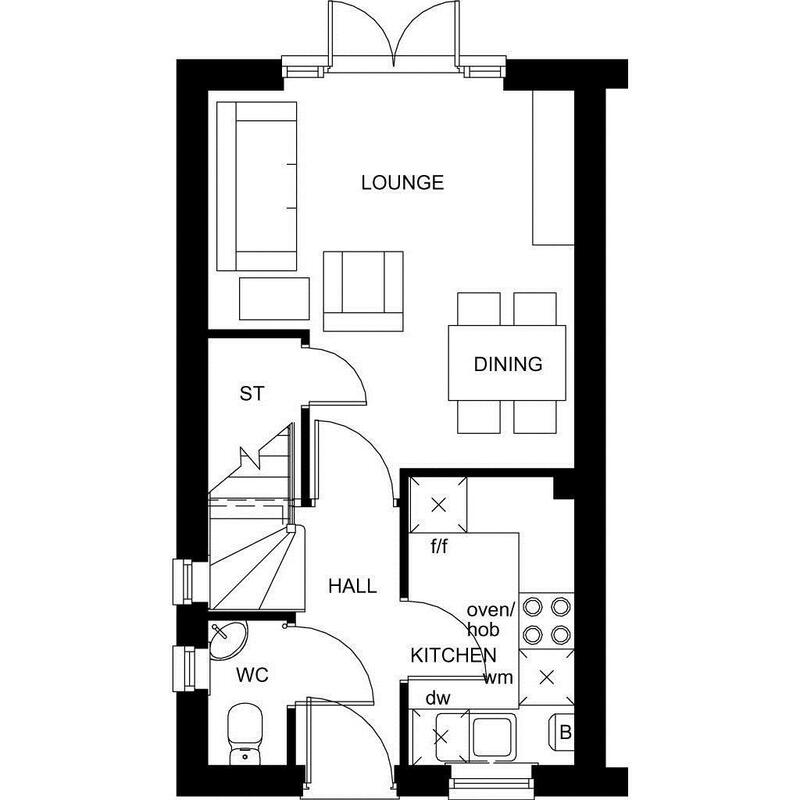 The Wilford is a modern two bedroom home featuring a stylishly separate kitchen. The open-plan lounge with dining area leads to the rear garden through French doors. 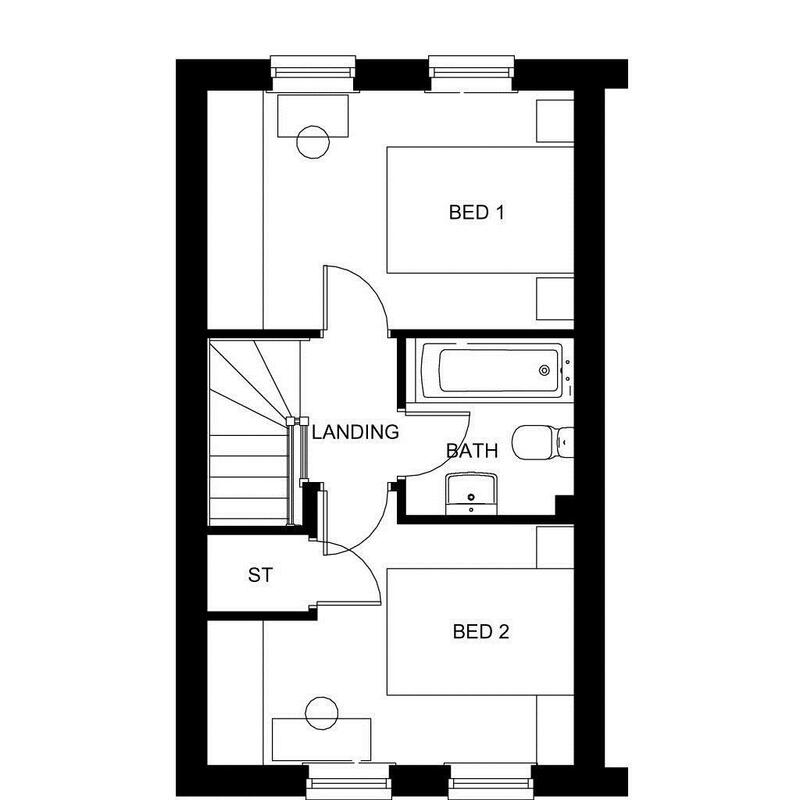 On the first floor, you will find 2 generous bedrooms and a family bathroom. This home is ideal for just starting out, downsizing or those looking for investor opportunities. 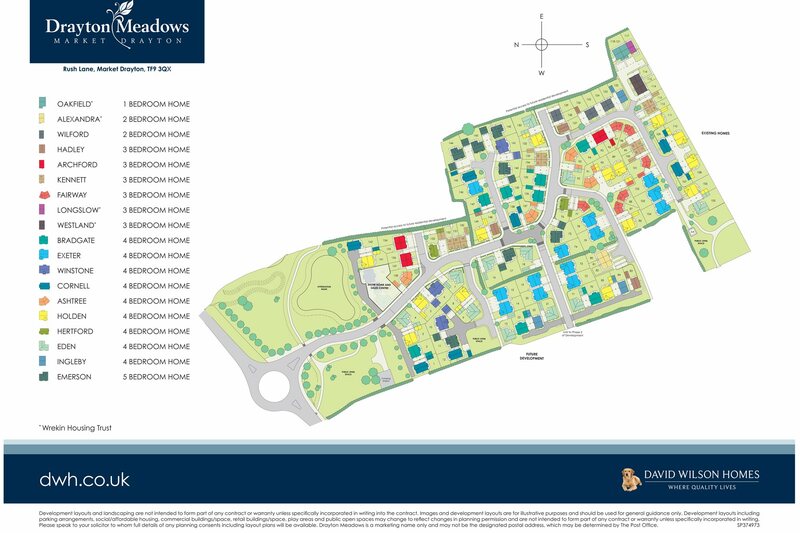 Drayton Meadows is an exciting development of two, three and four bedroom homes in the quaint town of Market Drayton. Surrounded by open fields, you can enjoy rural living with a peaceful outlook and a great range of schools, shops and commuter links nearby. Visit the popular market every Wednesday or grab a coffee and a cake near the Buttercross and take in the town's wonderful architecture. Enjoy hiking towards Audlem and exploring follies, caves and grottoes with your children at Hawstone Park. Enjoy a tranquil way of life living at Drayton Meadows. Why not come and see us and a take a tour of our Show Homes? Head into the town centre where you'll find Market Drayton Swimming & Fitness Centre. Enjoy a swim in the 25m indoor pool or make a splash in the outdoor pool (summer only), or enjoy a workout in the 42 station gym. The town park is the ideal place for your children to play, with a recreation ground and skate park. Visit Telford for a great night out. Locally you'll find Market Drayon Infant & Nursery School, Market Drayton Junior school and Grove Comprehensive for secondary education. Every Wednesday, Cheshire Street, the main road through the town, is closed off to allow local stallholders selling everything from clothing and electrical goods to linens and products for pets. There is also much local, fresh produce that is ideal to liven up your dinner plate. Drive just half an hour and reach the vibrant town of Telford. 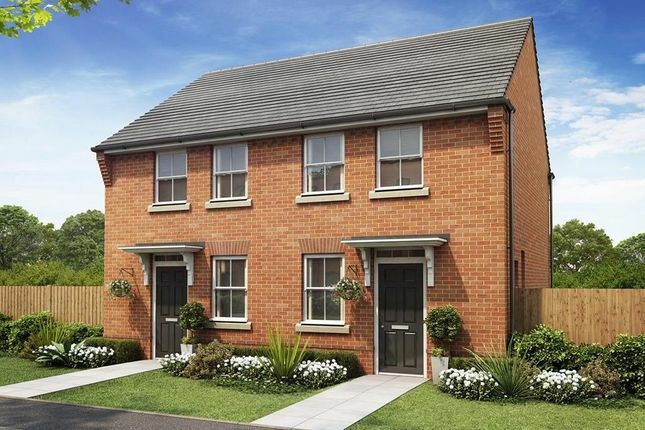 Rush Lane is ideally placed to benefit from great commuter links into the nearby town centre via the A53 bypass which runs adjacent to the development, as well as a number of vibrant towns and cities further afield. M6 J15 is less than a half hour drive from home and the train station in Whitchurch is just 20 minutes away. Drayton Medical Practice & Primary Care Centre will cater for your non-urgent medical enquiries. Visit Shrewsbury Royal Hospital for more medical emergencies. Property descriptions and related information displayed on this page, with the exclusion of Running Costs data, are marketing materials provided by David Wilson Homes - Drayton Meadows, and do not constitute property particulars. Please contact David Wilson Homes - Drayton Meadows for full details and further information. The Running Costs data displayed on this page are provided by SmartNewHomes to give an indication of potential running costs based on various data sources. SmartNewHomes does not warrant or accept any responsibility for the accuracy or completeness of the property descriptions, related information or Running Costs data provided here.